Traders are always find Support and Resistance zones in trading economics.Because technical analysis is not an exact science, it is useful to create support and resistance zones. This is contrary to the strategy mapped out for Lucent Technologies (LU), but it is sometimes the case. Each security has its own characteristics, and analysis should reflect the intricacies of the security. Sometimes, exact support and resistance levels are best, and, sometimes, zones work well. Generally, the tighter the range, the more exact the level. It is mention that where so many support and resistance zones are available, that point of support and resistance zones are so many strong. If the trading range spans less than 2 months and the price range is relatively tight, then more exact support and resistance levels are best suited. If a trading range spans many months and the price range is relatively large, then it is best to use support and resistance zones. These are only meant as general guidelines, and each trading range should be judged on its own merits. 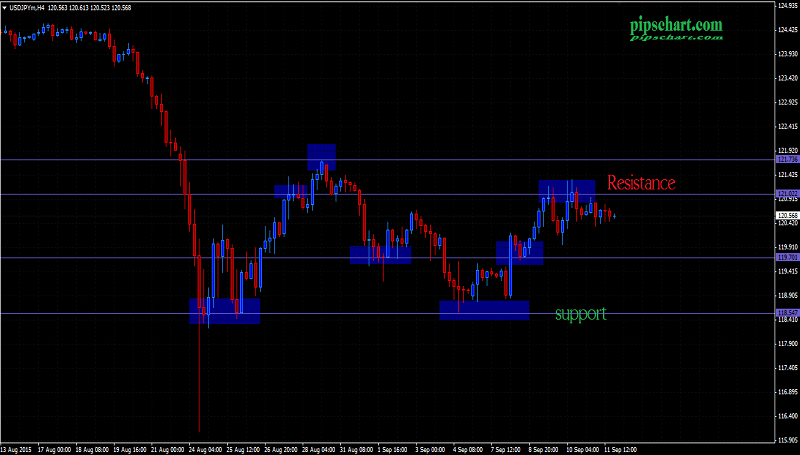 How Are Support and Resistance Zones Drawn? read in the paper. These lines should also be extended into the past to see if earlier price declines stopped at the same price level. Where these horizontal lines bunch together,sometimes overlapping at the same price level is a support or resistance zone. This zone is usually stronger the more horizontal lines there are within it. In other words, the more times the price level has halted previous declines, the stronger the support will be in the future. Because all previous significant troughs have not likely occurred at exactly the same price level, a shaded area can be constructed between the highest and lowest horizontal line in the zone to outline the zone more clearly. Figure shows how support and resistance lines can be drawn.Notice also the support zone between point, where a series of horizontal lines from previous significant troughs were drawn and extended.